So finally it is on the shelves - the Apple's newest iPhone 6 and iPhone 6 Plus. 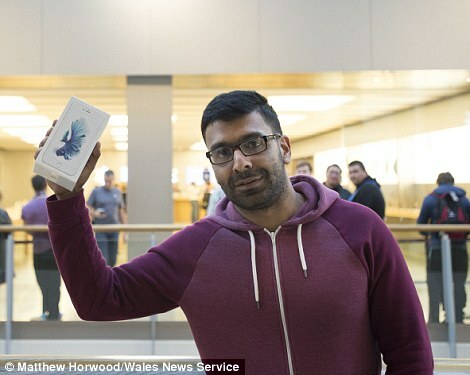 The off the shelf sale came when the initial stocks of the iPhone 6s range sold out completely online this week. Out of the 12 countries where the Apples occupied all shelves on the first day of launch, Australia was the first country. Many interesting scenes were witnessed including a woman using a robot to stand in the queue for her. She had been controlling it remotely from her home and watching via an iPad screen.